Increasing violence and conflict, the rise of extremist militant groups and regressive laws and regulation are making work more difficult and stressful for activists in the MENA region. On the 10th to the 12th of April, 30 activists from the region came together in Istanbul for a linking and learning workshop on sustainable activism. The workshop was organised by Women on the Frontline, a programme lead by Hivos, in cooperation with Oxfam Novib and PWC. The workshop was facilitated by Perspectivity’s Hanne and Lisette together with Jeanne Abdulla from the Human Security Collective. The training was about helping activists maintain their spirit and enabling them to deal with their often emotionally draining work in a sustainable manner. It talked about self-care and about keeping up your psychological wellbeing. The activitst played the newly designed Human Security Challenges and shared insights and ideas about topics of interest to them during an Open Space. 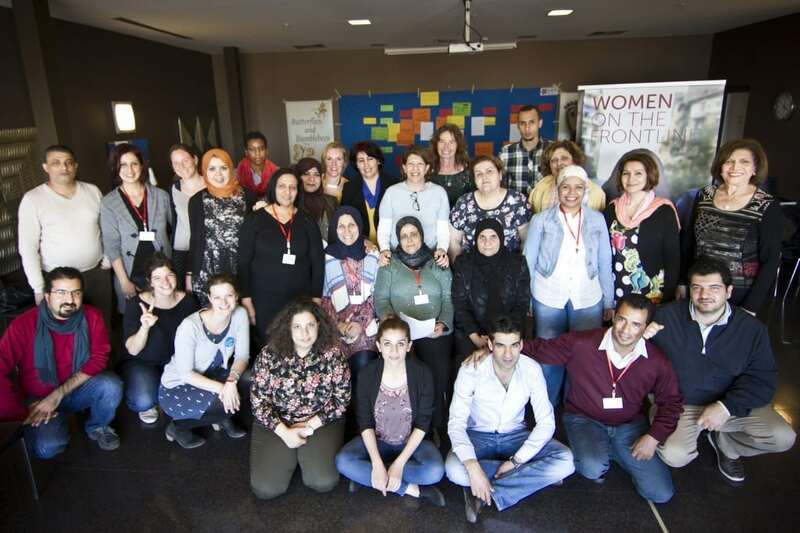 Women on the Frontline is a programme that supports women’s rights organizations and gender initiatives in the MENA region. The participants of this regional meeting were representatives from these organizations. The thing that I like the most was the fact that the training focused on the participants themselves, their psychology, and the pressures they face. In other words, the approach was fresh and the workshop was not like other more classical type of trainings. I will tell my friends about breathing techniques and how to obtain positive energy and get rid of the negativity and that we should not ignore our mental health because it can be exhausting and could lead to a full breakdown without realizing it.